Wilson Gray Y.M.C.A My Family Beyond My Family…. 17 year old Javon Turner an honor roll student at Weaver High School and an intern here at Wilson-Gray. 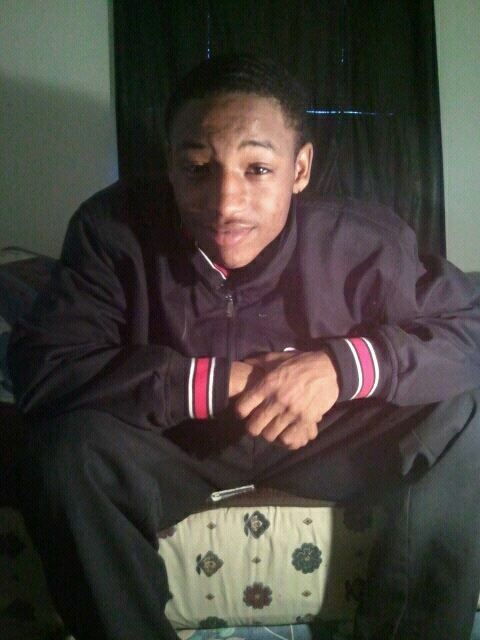 He was energetic, optimistic, and had aspirations of becoming a musical artist. 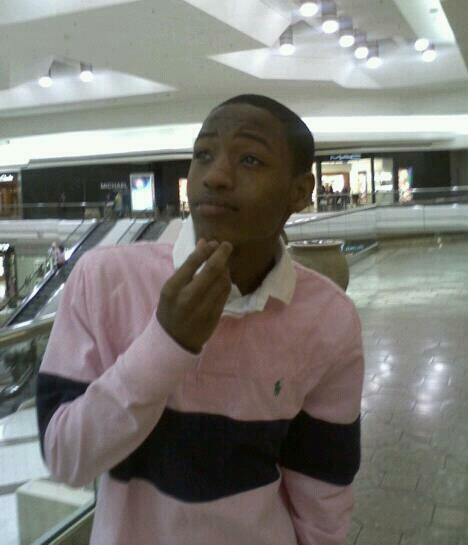 Sadly on March 17th Javon lost his life in a car accident. On a personal note he was more than a member but my cousin in addition to a great friend to so many of teen membership and staff. This morning as I struggle to write this its hard to hold back the tears; as I think about how much the Wilson-Gray family grieved and showed their love for Javon. Honestly I never knew just how much the Wilson-gray family cared…. I just want to say thank you Wilson Gray for your prayers and support given to my family during this tough time. I was a little taken aback by his comment- we love the wall, and we’ve been admiring it all week. 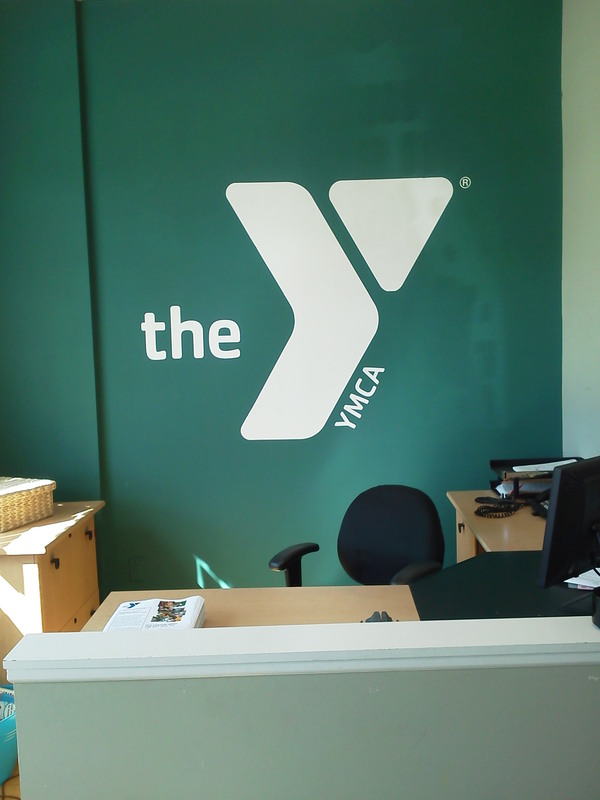 It hadn’t occurred to anyone that our “Y” was too big or too bright or too…anything! We had a nice interview- he told me about his background in camping and youth organizations, and I got to tell him a little bit about the YMCA- about our mission, about our vision, and about the different ways that we serve our communities. When he left, he seemed excited about the prospect of joining us for a group interview in a few weeks. I like to think that he caught some of our enthusiasm for our work- and I don’t think that our sign will seem too “loud” for him next time! 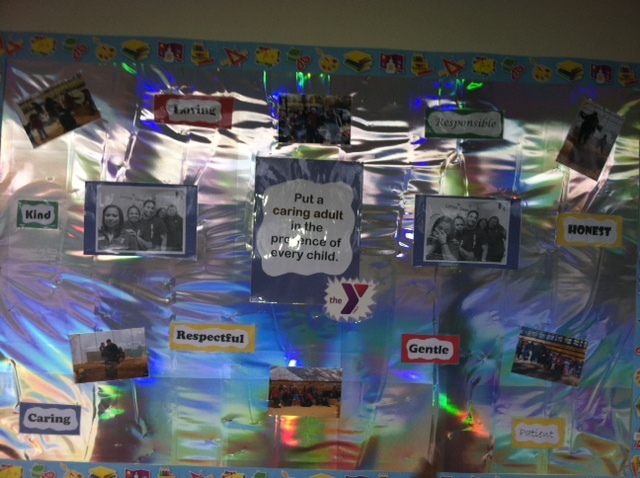 In order to create an open dialogue with our participants about our CEO’s inspired three-part vision, our Larson Center preschool site has created three distinct bulletin boards dedicated to just that. This is helping facilitate conversations with our parents about how we put a caring adult in the presense of every child, how we are good stewards of the resources entrusted to us, and how we plan to end the disparity between health and education. Just Gym and Swim? Not us! This Monday night I was having a meeting with an ad hoc group of seven volunteers regarding the creation of a community garden that would assist the local food bank. Having seven people give up thier time to volunteer is remarkable enough….but as we held the meeting in our conference room, I could hear the sounds of the drum class coming from the hallway. Earlier in the day I was involved in a meeting regarding the rail trail that will connect to our YMCA property, and this Friday is our Open Mic night. 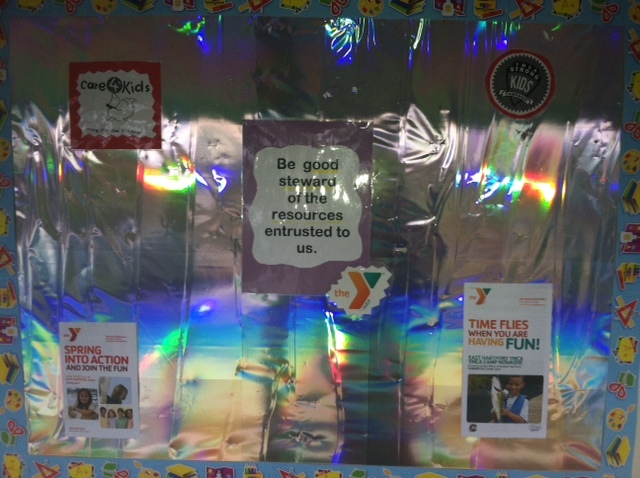 Of course we still have “gym and swim”, but the YMCA is so much more! That last one is my favorite! 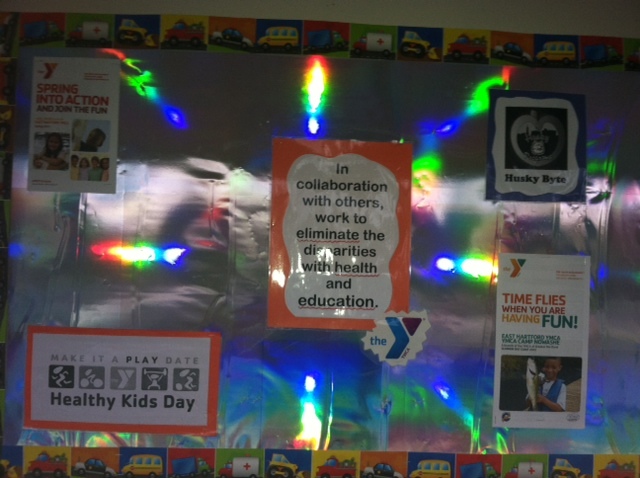 The Indian Valley Family YMCA is a destination! A warm wind blew across the field. From behind, the bright lights and muffled sounds of LIT and CIT cabins faded into the night. Patti and I lay on the oversized towels, staring into the star-scattered sky. My hand was outstretched above my head, intertwining grass between my fingers when our new friend arrived. “Can I lay with you?” She was a maverick and I recognized her from the few times we had received training together. She lay down on the other side as Patti and I adjusted to let her share in our blanket. Patti and I continued talking; both enthralled by each other’s lives, when finally all fell silent. The breeze picked up again as our new friend cleared her throat. “The stars are really quite beautiful, aren’t they?” I turned to look at her, her stare so intense, her eyes glazed. “There’s so many of them here. We barely have any in New York.” My comment lingered as I directed my gaze upwards once more. “My mom said that each star is an angel.” Silence. “I bet she’s up there watching me right now.” I listened to my new friend’s steady breathing, at first not knowing how to respond. I still wonder whether it was a comment meant for herself, or is she had intended for me to think so strongly of her words to this day. I had been taken aback by the innocence in her first statement and filled with remorse at the latter. I was guilty. Guilty for my fortunate upbringing. Guilty that a girl so unselfish, so kind, lived in foster care while I took such things for granted as family and material goods. I thought of our conversation long after that night, for it still remains one of the most pinnacle experiences I have had at camp thus far. It is also the reason why I can enthusiastically commit four weeks of my summer toCampJewell. Camp is the place where I grew as a person, gained my confidence, and learned what it meant to be a part of a family away from home. I hope to emulate all that my counselors had done for me as a camper, encouraging others to become part of the Camp Jewell family as well, regardless if they have an existing or broken family already. 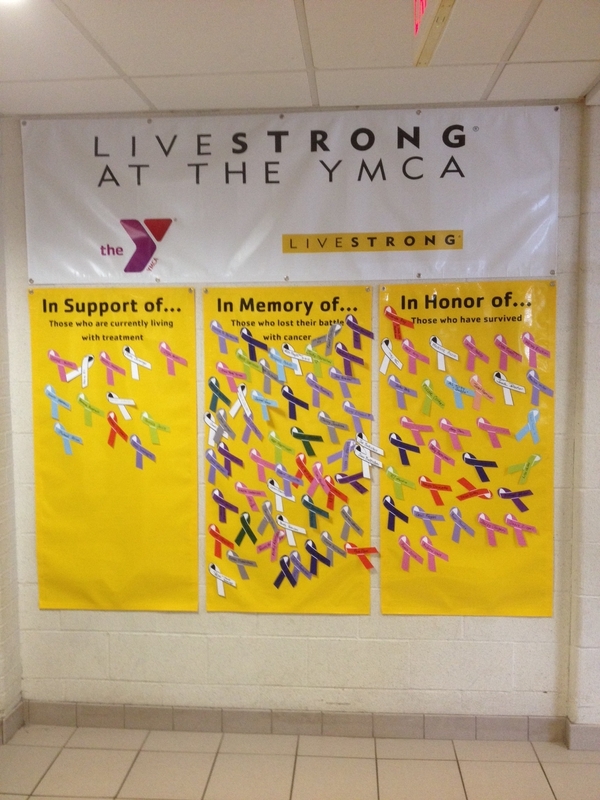 Our LIVESTRONG banners have been up for a little over a month and have generated some fantastic conversation among members and staff. They look great, folks love being able to make their Y a little more personal, and it’s a wonderful way to keep current cancer patients, survivors, and those who have lost their battle at the forefront of our thoughts as we do our work. I had no idea just how moving they were until a few days ago. Chatting with a member service representative the other day, I see a long-time member come bursting out of the hallway door into the lobby. She was very sweaty (which, of course, is not uncommon) and seemed more than excited. She looked around with wild eyes, and hollered, “SOMEONE WATCH ME!!!!!! !” Thinking she had really lost her mind, I asked her what was going on and if she needed medical attention; I was truly that concerned. She ran over to the LIVESTRONG wall, started sobbing loudly, and with an enormous flourish moved an orange ribbon signifying kidney cancer from the ‘In Support Of Those Who Are Battling’ side to the ‘In Honor of Those Who Have Survived’ side. Annie had just gotten word of her mother’s offical move to remission. Even as I type these words my eyes are welling up – even watching just the simple, symbolic act of moving a paper ribbon six feet was an incredibly empowering experience. I’m thrilled to have been a part of it, and I’m even happier to see that people everwhere have such love and support behind them. FLASH MOB performed in the lobby of the Farmington Valley YMCA. We dance to exercise and celebrate. The YMCA was the scene of a Flash Mob to celebrate the closing of the Strong Kids Campaign. Dance as if no one is watching! 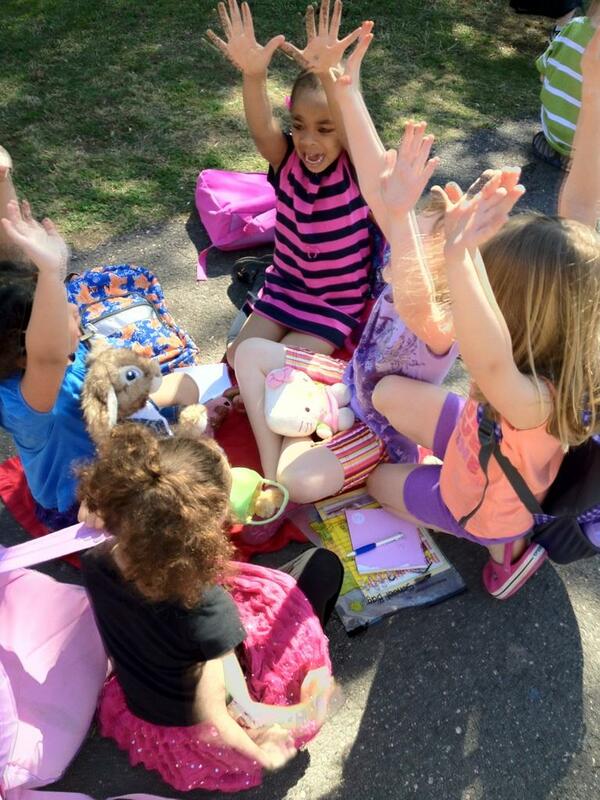 We give kids a safe place to play outside, build friendships, and express themselves. . .